From Theatre UAB's "In the Blood"
Savage recounts the startling true tale of a Mbuti man, Ota Benga, purchased in the early 1900s by missionary and anthropologist Samuel Verner for exhibition at the St. Louis World’s Fair and, later, The Bronx Zoo. Displaced and cruelly exploited, Ota Benga is left to marginally exist in a world he does not understand, never able to return to his homeland. 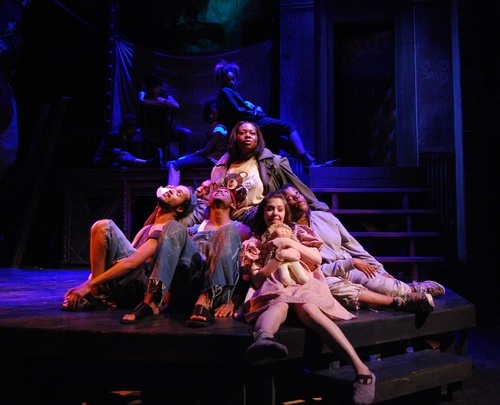 An original musical conceived and developed by UAB Associate Professor of Theatre Karla Koskinen. Tickets are $15 & $20; student tickets $6; UAB employees/senior citizens $10.